Pastor Waggoner concludes this series by discussing the shepherd more in depth and how we should look to the Good Shepherd for our needs. Pastor Waggoner gives us insight into the shepherd and how we can see the shepherd as a picture of God’s loving care to us. Pastor Waggoner continues with the Help Wanted series as we learn about the keeper of documents and how we need to be careful since knowledge of the Word does not gaurantee our practice of it. Pastor Waggoner continues the Help Wanted series as we see that even a hardened centurion can have a soft heart toward God- a good lesson for all of us. 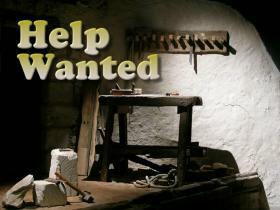 Pastor Waggoner continues with part two of the Help Wanted-Bible Occupations series, where he talks about what biblical lessons we can learn from the tax collector.